Underworld don Chhota Rajan will likely be brought to India on Tuesday after Indian authorities met him at a Bali prison in Indonesia. Rajan was arrested by Indonesian police authorities and had been incarcerated in jail. The Indian team which comprised of officers from the CBI and Mumbai and Delhi police, reached Bali on Sunday. They have been working on his deportation procedures. 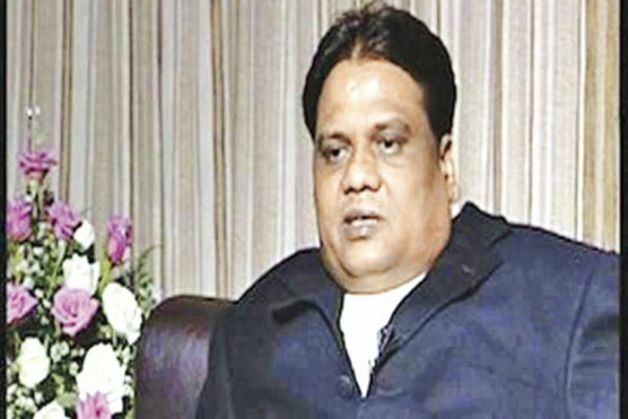 The six-member joint team from the Mumbai crime branch, Delhi Police special cell and the CBI is presently at the Bali Police Headquarters to discuss further action on underworld don Chhota Rajan with the local authorities. First Secretary Consular at the Indian embassy in Jakarta, Sanjeev Kumar Agrawal, is also with the probe team. Following the talk with the officials, the team is likely to quiz Rajan. The joint team is carrying all the relevant documents needed for Rajan's deportation, including his crime history and a court warrant against him. Agrawal had yesterday met Rajan for around 45 minutes. Reports suggest that Rajan discussed his legal rights and health uses with the First Secretary Consular. Rajan, one of India's most wanted criminals and a leading figure in the Mumbai underworld, was arrested on October 24. He is wanted for at least 68 cases in Mumbai alone, including over 20 murder cases and other serious offences under MCOCA, POTA and the Arms Act.